Our mission is to provide our customers quality cleaning with our professional laundry and dry cleaning services. We are committed to make every customers experience refreshing. 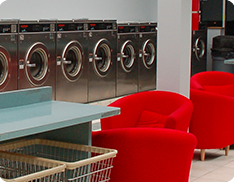 PLENTY OF FREE PARKING - FREE WI-FI • Plenty of Dryers - No More Waiting!